Apex Planning Consultants are able to offer it's clients a comprehensive, tailor made package and service specifically relating to rural planning. On all occasions, we put particular emphasis on the initial appraisal stage. We fully research the proposal, whether it is a desktop analysis or one where we meet with our clients at the site to discuss aims and requirements in order to advise on the best manner in which to proceed, having regard to both national and local planning policy. 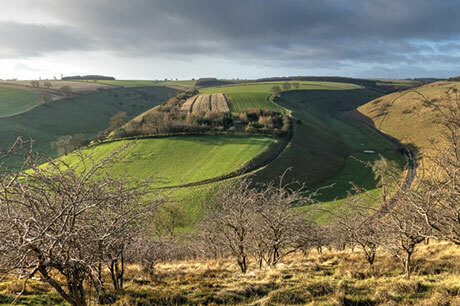 After the initial appraisal of your aims and objectives, our rural planning consultants are able to guide you through the process of planning legislation and policy in order to best understand your requirements, prior to preparing and submitting a planning application on your behalf. Planning applications used to be a fairly simple process although recent changes in legislation and planning policy now generally requires an appropriate justification by a suitably qualified and experienced professional to support the development. We are experienced in working with agricultural clients, including arable and cattle farmers. We also understand the political complexities of development in the rural area and can deal with obstacles that might be placed in the way of new proposals. Depending on the type of proposal a client might have in mind, it might be necessary to engage the services of other professionals. Apex Planning Consultants has an expansive list of experts in different fields to call upon and ensure the project is properly coordinated and as robust as possible. Please do get in touch with us if you would like more information on our rural planning consultancy service.